The Indian star tortoise native to parts of India has been declining in the wild since at least 2000. Why? People want them as pets. 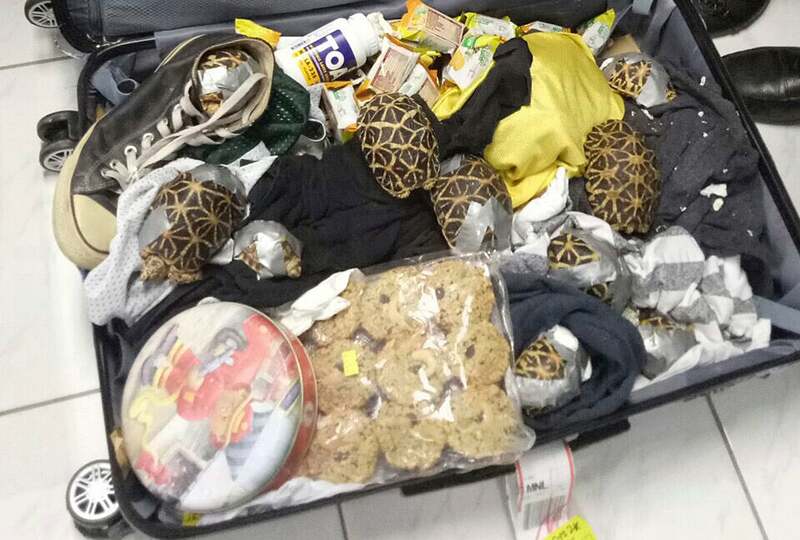 A stark reminder of this fact came on Sunday, after authorities in the Philippines’ Ninoy Aquino International Airport found some 1,500 live turtles and tortoises inside four abandoned suitcases that arrived from Hong Kong. The Bureau of Customs passed the animals along to the Department of Environment and Natural Resource’s Wildlife Traffic Monitoring Unit, according to a press release, so that it can decide what to do with the animals. Among the reptilian cargo were Sulcata tortoises, whose habitat stretches across the southern Sahara; red-footed tortoises, whose red speckled legs historically walked the lands of northern South America; and red-eared sliders, whose native range is the Midwestern United States. Many are considered vulnerable due to the illegal pet trade, along with environmental changes like desertification and habitat loss. Illegally trading these animals can result in up to two years of imprisonment, per the Philippines Bureau of Customs. Authorities have identified the alleged criminal, reports Phys.org. 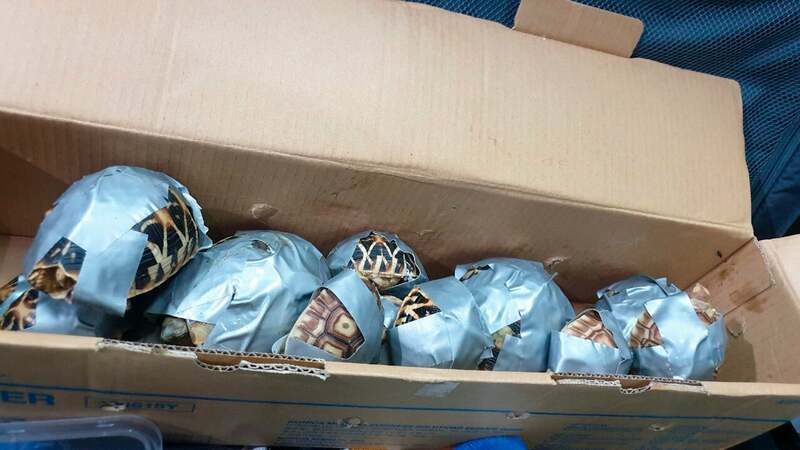 Many of the turtles and tortoises were wrapped in duct tape to prevent them from moving. Poor babies! Keeping pet reptiles in general is a bit of a contentious issue in the environmental world. Not only do people tend to go into this endeavour without fully considering the animals’ needs, but many wild populations are being exploited. Plus, there are the arseholes who release their exotic pets into the wild, which can be devastating to local ecosystems. Unless consumers in Asia, Europe, and the United States chill out, turtles and tortoises, along with other exotic reptiles, will continue to decline. These 1,529 animals were saved, but thousands of others are estimated to be successfully smuggled a year. They’re still awaiting their rescue.